Remember my post “Update Schupdate” where I was cautiously happy about Vermont’s upcoming GMO labelling victory? Well, Senators Roberts and Stabenow have come up with Monsanto’s, Dow Chemicals’ and the GMA’s sweet-dream GMO labelling bill at the 11 hour. First of all, it will invalidate all individual state GMO labelling including Vermont which was so hard won. Second it will take 2 years to come up with some kind of agreement. Third it will use QR codes or 1800 numbers for consumers to find out if there are GMOs in their food. Really? I mean, really? It is just ridiculous. Might as well call this “The Non-Labelling Bill.” Or the Dark Act version: Deathstar. If you are American and care about your food, please contact your state senator which might be the best thing to do. They will listen to their irate and concerned constituents. Otherwise please sign a petition like the one below, share galore, email your friends…. 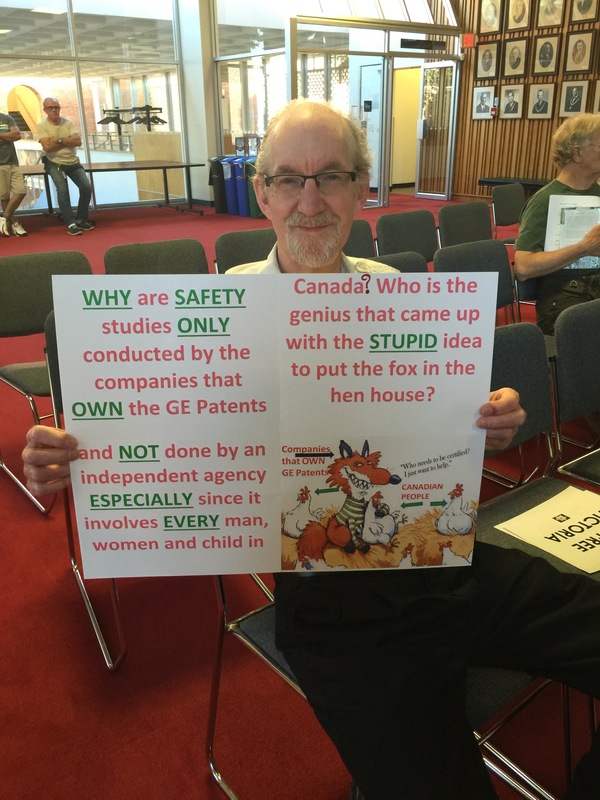 This entry was posted in GMOs, Mobilize and March, Right to Know and tagged DARK act, Dark ACt 2.0, GMO labelling bill, Non-labelling bill, Prevent consumer's right to know on June 28, 2016 by Gurdeep Stephens. I get a lot of spam on this blog and thankfully wordpress screens most of it. Over the years, I’ve gotten a few muddled responses, others clearly written by algorithms (Hi! I really like what you write. Please write more and check out my link for fantastic savings on car tires) or in unusual English (Respected writer, pleese share with me your secrets of making blog.) I’ve also gotten some replies which may even be written by real people. But with questionable agendas. You do know that people with life-threatening diseases like Type 1 Diabetes need insulin to stay alive, which is made with GMO bacteria? Right? I need insulin to survive, you need GMOs labeled because you believe in quackeries and have first world problems. Ugh. When I see comments like yours, I wonder if you are a real person or a ‘bot’. Who knows? Maybe you are a paid member of Big Biotech’s “scientific debunking” team? (i.e. : those people who are paid to disprove and discredit valid scientists…) Like folks who call all science that doesn’t support the biotech agenda “quackery” or “pseudoscience.” I’m going to respond to your comment regardless because you conveniently confuse and mix-up two very different things. First of all, when have I ever lumped-in medicines made by bacteria into the GMO debate? Since I started writing, have I ever stood up against life-saving medicines, modern health care, transfusion, transplants or – getting to agriculture – marker assisted selection? I have a background in Biology (honours BA, MA from The University of Chicago, PhD studies in Developmental Neurobiology, and one co-authored scientific paper in a peer-reviewed journal) and I have been very well aware of medicines made by bacteria for decades. GMO ‘Food’ is unlabelled and is sitting like a wolf in sheep’s clothing on our grocery shelves. It is often stacked with traits like insecticide-expression and glyphosate-resistance and sprayed with millions of pounds of glyphosate. The GMO “Foods” I’m talking about could just as well stand for “Glyphosate Modified Organisms.” (Thanks to Dr Thierry Vrain for coining that phrase). Maybe you haven’t heard that glyphosate has been recently classified as a probable carcinogen by the WHO. This isn’t the first time either (it first happened in 1985 but was somehow declassified…) Maybe you should look that up! In fact, I suggest you also look up how glyphosate works by binding to heavy metals (chelator) and how it was first patented as an industrial cleaner? Furthermore, check out how it has been patented as an antibiotic. Then read up on how cities and countries (first world and otherwise) around the world ban this toxin. I’m surprised that you consider GMOs a first world problem. Have you heard how some of the poorest people in the world, such as in Haiti, have burned biotechs’ seeds? I would suggest you go to my post from 2013 where I’ve compiled a list of countries that require GMO labeling by law. Curiously enough, Canada and the US are the only two ‘first world’ nations that don’t label and/or ban GMO “Foods.” This is not a first world problem. This is a whole world problem. In the event that you are a ‘real’ person and not funded directly or indirectly by Biotech, I hope this response motivates you to look up what’s really being done to the Food in North America. It’s been 20 years of GMO “Foods” in North America. Virtually all GMO “Foods” available for human consumption in North America are glyphosate-resistant. Since GMO “Foods” were introduced, health, air and soil quality have diminished. There are dead zones in the waters due to pesticide run-off. Mother’s milk has toxins. Even Polar bears have pesticides in their blood. Children being born now are called Generation Rx because they are the first generation to have a lower life expectancy than their parents. Look at projected cancer rates in America (1/2 men and 1/3 women). And what is the one thing we do know for sure? We are growing our food with vast amounts of known and probable toxins and carcinogens…. If you are a real person, I have empathy for your pain and suffering. I would not wish for anyone to have to take daily insulin injections. I have witnessed this first-hand and it is an unenviable burden. I do not think you ought to suffer and I am glad that bacteria were engineered to make insulin. I am glad you can be treated. I appreciate you checking out my blog. I agree with you that it is because of technology that millions of people have been able to afford hitherto costly medicines (such as insulin) that bacteria have been engineered to express. It is because of technology and medical advances that so many of us are alive. But, just because we *can* insert toxic genes into our FOOD to make Glyphosate-Modified-Organisms or make nuclear bombs or [please fill in the blank], doesn’t mean that we should. We can change this. You can change this too. I started this blog to help inspire change. Change for greater respect for people and planet. I hope this post might motivate just one person to change just one thing. Worship clean soil teeming with micro-organisms. Give thanks to an organic farmer. Give thanks to the Earth. Smile at the butterflies and pollinator moths, if you are lucky enough to see one. Find the courage to do what’s right versus what’s convenient. 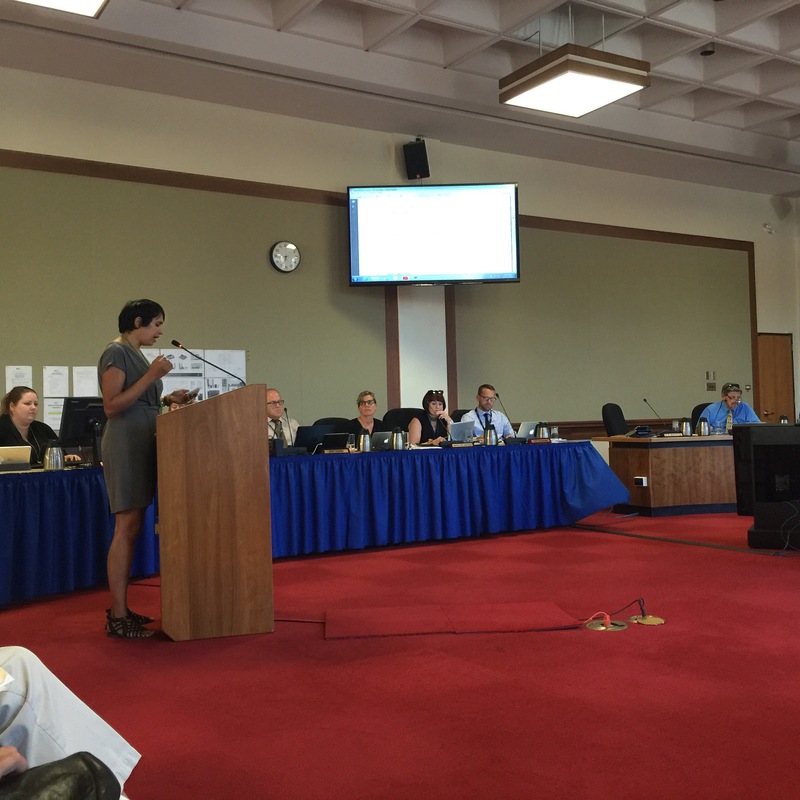 This entry was posted in GMOs, Right to Know on April 9, 2015 by Gurdeep Stephens. It has been an interesting couple of months for me personally. I am filled with enormous gratitude for life, my faculties and the love, courage, and greatness I witness every day. The many wonderful people who have supported me with beautiful words and encouragement I thank you. There is so much I have wanted to share recently. From “I Am Steve Marsh” to the Terrible TPP to some inspiring people and events (including my mom Ratana who was recently awarded the Top 100 Most Powerful Women in Canada). Although I have been posting some Style-Diet Shots, I am otherwise breaking silence. Through social media (as the mainstream media is still rubbing its eyes, wondering if it should wake up), US state after state and several counties are presenting both labelling bills and GE or GMO Free resolutions. Clearly, this is one of the biggest issues of our times. Canada and the US are the only developed countries who do not legislate some kind of labelling of GMOs. So today I write with a happy heart that we can do something (activism and clicktivism) right here and now today in Canada. Our collective clicks will become a force for change. Our voices a sea of myriad droplets rushing in 100 foot waves (Dustin Barca can surf ’em) . So much good has come lately. Food Babe and Robyn O’Brien and Moms Across America, our Hawaiian siblings and so many others have successfully managed to eke great changes to N. American food recently. We still have a huge mountain to climb. But the journey of a thousand miles begins with one single footstep. Robyn O’Brien talks about the moral compass. Let’s keep True North. Let’s hold the corporations to their better angels. 1. GMOs have contributed to a massive increase in toxic pesticides and herbicides. 2. GMOs have contributed to the creation of superweeds. 3. GMOs are now being considered by the USDA to be sprayed with 2,4 D also known as Agent Orange. Since Round-Up (Glyphosate) isn’t working any more, the big chemical companies are resorting to even more toxic applications of the GMO technology. It appears that the USDA is leaning towards approval despite common sense screaming against it. 4. GMOs have been approved by the government, based on short-term studies done by the same companies selling them. Every independent, long-term study has shown cause for alarm. 5. Despite the hype about Bio-enhanced foods, most – 90% of GMOs are designed to withstand the herbicide glyphosate also known as Round-Up. Most North Americans do not know whether they are consuming GMOs since the chemical giants and others like the Grocery Manufacturer’s Association have lobbied against consumer’s right to know, spending millions upon millions to suppress this basic necessity. Imagine how many hungry people they could have fed instead? They continue along this tragic path of concealment despite allowing customers elsewhere around the globe this right (about 5 billion see previous post https://thedeepersideblog.com/2013/12/09/gmos-by-nation). These people in 64+ nations are buying the very same products reformulated without GMOs and or labelled. So what can you do here in Canada? Today you can effect change with a two pronged approach! The first is an online petition. With one click below, you can support the new Federal Labelling Bill M480 “Right to Know” put forth by Murray Rankin, an MP and Lawyer championing people and the environment. 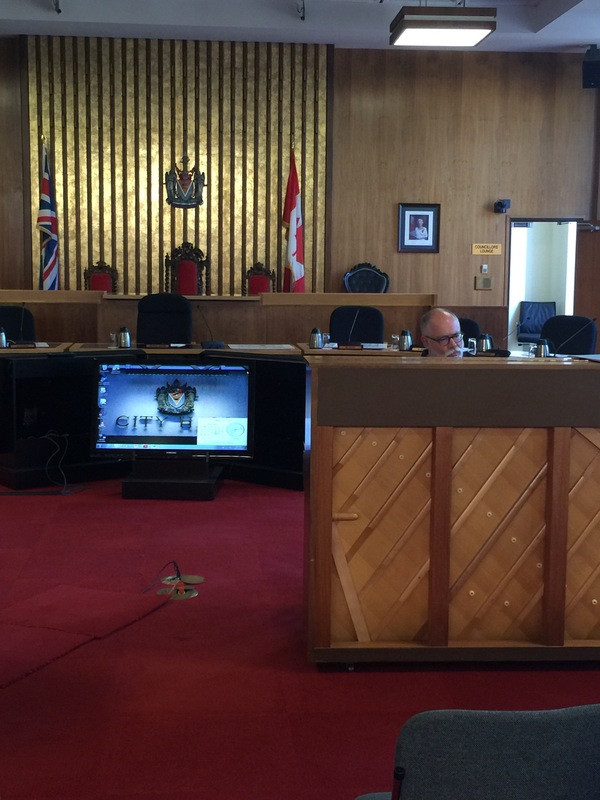 It is wonderful to have an elected official listening to the people, for the people. Like in the US, we in Canada want GMOs labelled. And this is no small minority. Well over 90% of Canadians and Americans consistently polled want GMOs labelled. We of the over 90% feel it’s a right, given that fat and sugar and even the contents of our mattresses are labelled. Even those who believe GMOs are good (or can be) still want to know what they are feeding themselves and their families. 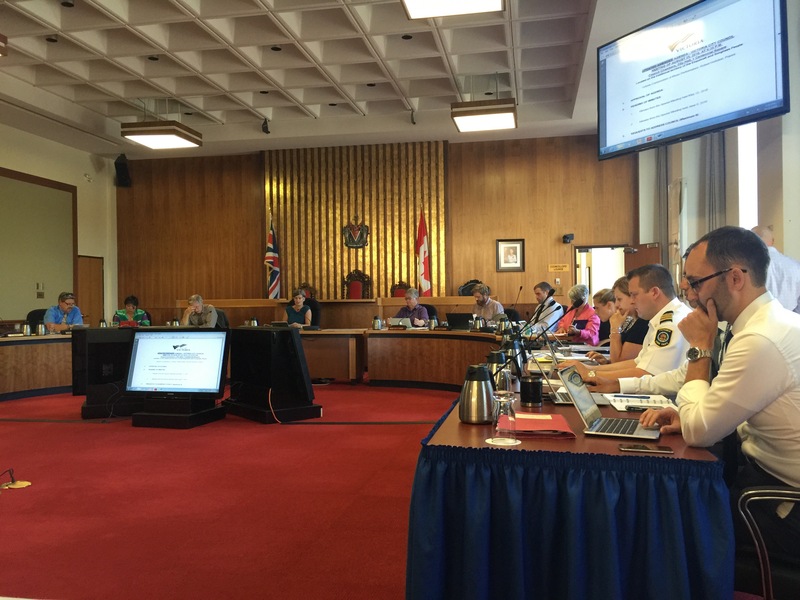 Murray Rankin first introduced this bill in Ottawa this past December 2013. Please take a minute to sign and share and send as widely as you can. 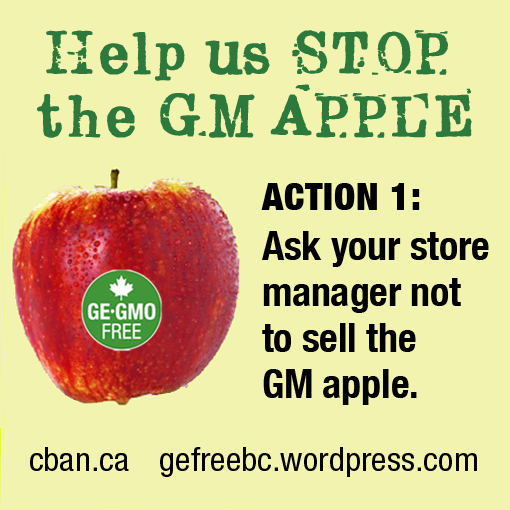 Secondly, if you are convinced like many multitudes, that GMOs have no merit except for fairy tales and real red flag warnings, then you can support a recent campaign to Stop the GM apple. This apple doesn’t brown when cut. And remember, the scientists themselves don’t know what processes are being disrupted in the insertion of foreign genes in the process of making this un-necessary apple. 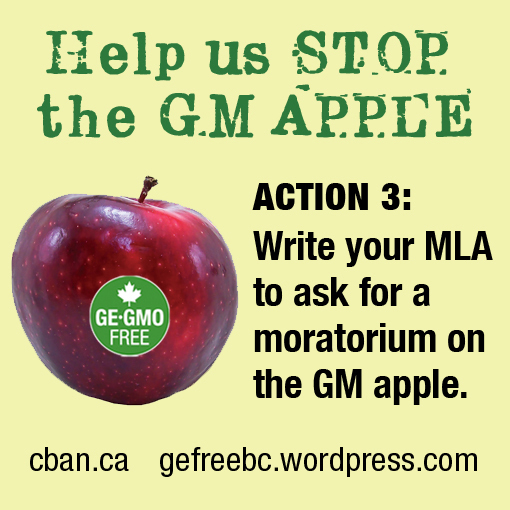 What you can do is speak up against the GM Apple. Remind your stores where you shop that the apple is using dangerous technology. Tell them you wont buy it. 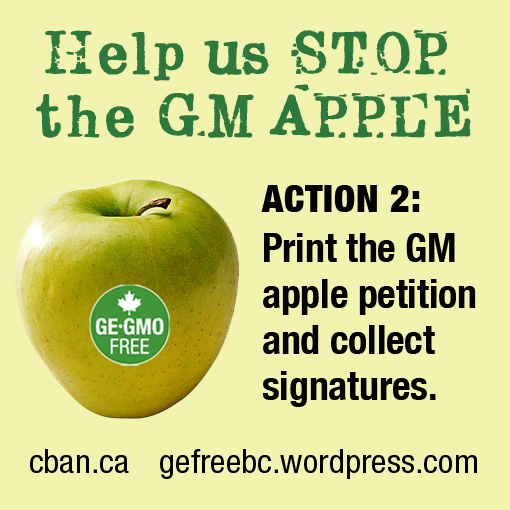 Explain how the process of creating GMOs is imprecise and disrupts the DNA of the Apple. Plus once released into our countryside, it will contaminate our other apples. Quote David Suzuki and Dr Vrain. Inform them about Dr. Vrain’s Ted Talk and his cross Canada tour to enlighten the public. I’ve been reading about Abraham Lincoln who led America at the time of the civil war. He refused to let the slave states secede at a time a weaker man might have let the US just split into two or allow slavery to perpetuate into the new territories. Whilst reading, I can’t stop marvelling that people used biology, logic and religion to justify slavery. When such injustice is perpetrated, we are morally obligated to speak out and up. With right comes might and a sense of noble purpose. Please ask me if you want more petitions to sign and I’ll dig them up. This entry was posted in Mobilize and March, Right to Know, The Environment and tagged Bill 480, Canada, David Suzuki, Dr. Thierry Vrain, Food Babe, GE FREE, GE GMO FREE Canada, GMOs, Moms Across America, Murray Rankin, Right to Know, Right to Know Bill 480, Robyn O'Brien, USA on February 13, 2014 by Gurdeep Stephens.